The New York Governor and others begged them to come back…. In a Washington DC suburb things went different…. Politico features a piece by George Washington Univ. 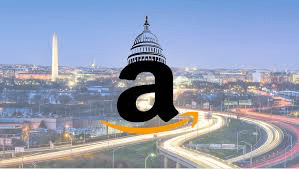 professor, David Fontana that questions the coming arrival of thousands of Amazon ‘suits’ that could and probably WILL influence the close by wheels of the Federal Government…. Many of the founders would have hated the idea of a megacorporation in such close proximity to Congress and the White House—and they would have been worried about what it means for the country…..